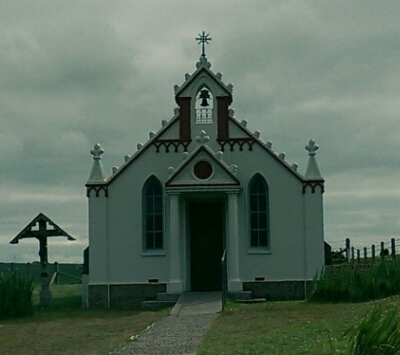 This is the Italian Chapel on the tiny island of Lamb Holm, Orkney, is a modern miracle that stands as a testament to the human spirit. 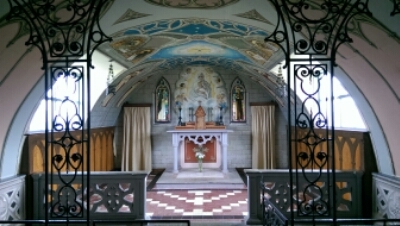 Built by Italian prisoners of war in the 1940’s, it is loved and honoured today because of its ingenious hand-crafted beauty and the story it tells of faith and resilience in the face of struggle and deprivation. I recommend Philip Paris’ book The Italian Chapel to our tour participants, but I think it’s actually an important read for just about everyone. 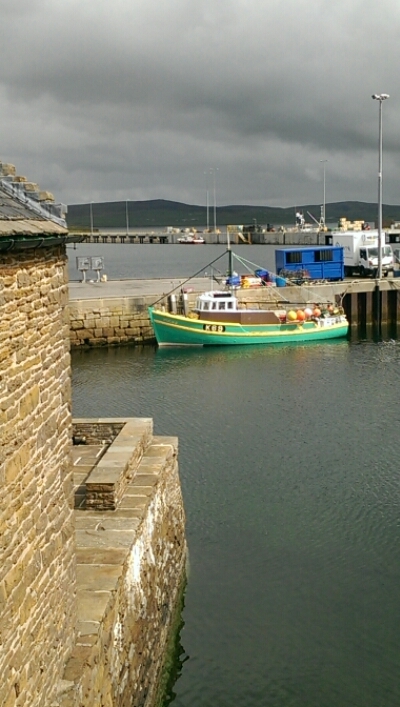 After our exploration of the Churchill Barriers, we wandered through the streets of Orkney’s two main towns, Kirkwall and Stromness. I suspect our suitcases may have become a wee bit heavier over the course of the day!